Awww Happy Sunday ladies!! Not quite sure what I’m being a soppy git about…?? Must be all these real weddings I blog, it’s turning me into a reet softy. Mind you, I’ve always been known as a romantic and particularly a hopeless one at that in my late teens… but hey that’s another story. 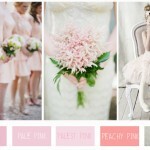 So what do you think, is this the colour palette for you and your wedding? 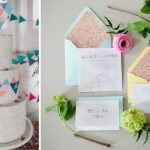 A feature I’m working on at the moment is inspiring wedding colour combinations. I would love to know what your ultimate colour combos are. Feel like sharing? Leave a comment in the box below. Love these colors – apricot is so pretty! The perfect softer alternate to yellow or orange. Beautiful inspiration!